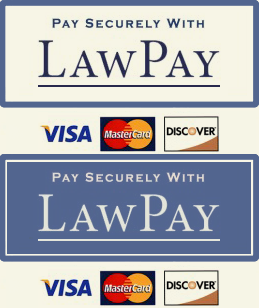 When someone has a legal dispute, going to court is the first method that comes to mind for many people, but other dispute resolution processes exist that allow the parties to settle their differences in a calmer or more cooperative atmosphere. Mediation is a method that is often recommended to resolve family-related legal issues. Parties in family law disputes can find it hard to control emotions and restrain impulses, and contest everything due to the sensitive nature of these matters. Divorce is especially prone to producing this effect as each party tries to absorb the fact the marriage is over. Being contentious and engaging in protracted litigation is the normal stance most people associate with divorce, child custody, child support and other related matters, but it does not leave the parties with much control over the outcome, or even when an outcome will occur. Parties in family law disputes frequently have a vested interest in preserving, or in some cases improving, their communication skills, especially if they share children. In fact, many family court judges require parties in family law cases involving children to attempt mediation, absent extenuating circumstances such as domestic violence, before they will put the case on their calendar. Thus, a significant number of litigants will find themselves going through mediation at some point. However, mediation can be a first resort, before court action is initiated, and should be considered as a viable option to resolve disputes. A discussion of how the mediation process works, and the benefits it offers over traditional litigation, will follow below. Mediation is an informal and non-adversarial negotiation process that allows parties in legal disputes to mutually decide how to resolve the points of disagreement with the assistance of a mediator. A mediator is a neutral and impartial third-party (often a retired judge or family law attorney) that tries to facilitate and encourage resolution without telling the parties what the terms of an agreement should be. Mediation is voluntary, and the parties have decision-making authority over when and if an agreement can be reached. The parties to mediation are free to discuss any issue that they believe is important to them, and are not limited to the issues raised in court filings (parties cannot raise issues in front the judge unless they were previously addressed in documents filed with the court). Importantly, communications made during mediation are confidential which helps the parties to be candid in their discussions and settlement. 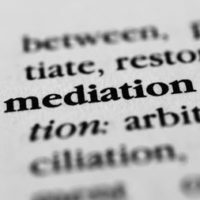 While mediation is an informal process, it is prudent, as well as common, to have an attorney present. An attorney can advise his/her client on the legal repercussions of any decision made, and point out circumstances that may not be in his/her long-term interests. At the very least, an attorney should be retained to review an agreement struck in mediation before it is finalized and signed to look for issues that may have been overlooked, and to ensure one’s rights are adequately protected. Settlements reached in mediation are fully enforceable once signed, though a judge must formally issue divorce and paternity decrees, and approve parenting plans. Consequently, the results of mediation should be given as much weight as an order issued by a court. Mediation offers a number of benefits over traditional litigation, the principal one being a quicker resolution for less money. Additionally, because parties have complete control over the terms of any settlement, they can be more flexible and creative than a judge, who is limited by legal guidelines and lacks an intimate knowledge of a family’s dynamics. Further, contents of mediation sessions and the provisions in the final agreement are not part of the public record, unlike court cases, which are freely available. Most important, though, mediation allows the parties the opportunity to preserve, or even strengthen, their relationship, which is vitally important if they are parents seeking to share custody of their children. Resolving family law disputes is rarely easy, but an experienced family law attorney can lay out all your options, including any alternative resolution methods, that may make more sense for you and your family. The Donna Hung Law Group cares about their clients, and is there to keep them fully informed through every step of the legal process. If you live in Orlando or the surrounding area, contact the group today for a confidential consultation if you wish to have an attorney represent you at your mediation.